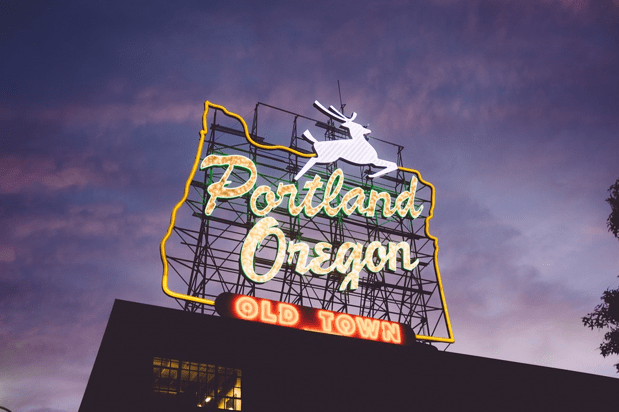 Finding a top financial advisor in a city as diverse and broad-based as Portland can be a daunting undertaking – especially if you are unfamiliar with the wealth management and financial advisory landscape. Portland financial planners can offer a wide range of services. One top Portland wealth management firm alone may offer financial planning, retirement advice, investing strategy, and more. Parsing through all of these firms and services to find the best company for you can feel overwhelming. Which Portland advisor should you choose? 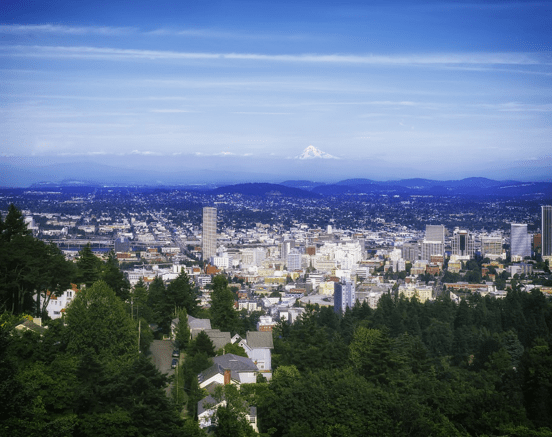 Where do you find a top wealth management firm in Portland? What do Portland financial planners charge? What services do they provide, and what can they do for you? And overall, what criteria should you apply to finding a top financial advisor in Portland, Oregon that’s just right for you? While we cannot recommend “THE” advisor for you, this review has been carefully crafted to provide you with enough information so that you can commence your search for the right financial advisor in Portland, Oregon. When it comes to choosing the best Portland financial advisor, there are plenty of firms to choose from. With so many options to consider, how can you narrow the search? First, take a close look at what each financial advisor in Portland, Oregon has to offer, and match those services up with your own personal financial goals. As you will see in the following reviews for Portland financial planners, each Portland financial advisor specializes in varying areas of financial planning and wealth management. If your needs are of a broader nature and you wish to have peace of mind through simple yet comprehensive financial planning, you may be well-suited with a Portland financial planner that offers a broader range of services. Once you’ve narrowed down your choices to a select few of these top-ranking Portland wealth management firms, see if any of your selected advisors offers an introductory consultation session. 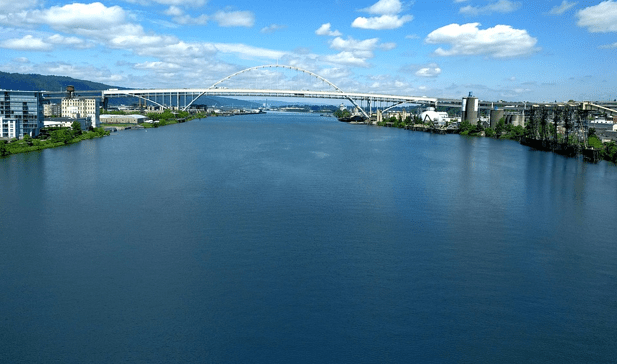 Whether it’s a free or paid consultation, this can be a good way to “feel out” a prospective financial advisor in Portland, Oregon before committing to their services. Below, please find the detailed review of each firm on our list of the best Portland wealth management firms. We have highlighted some of the factors that allowed these financial advisors in Portland, Oregon to score so highly in our selection ranking. Beacon Rock Partners, an independent wealth management firm in Portland, Oregon, specializes in personal financial planning, investment advisory, consultations, and investment counseling services. Beacon Rock Partners is only a team of two, but we have included them on our list for the range of services they provide and the fact that they are a fee-only Portland wealth management firm. Both financial advisors carry the CFP® designation, which comes with strict fiduciary and ongoing education requirements, demonstrating a firm commitment to industry excellence. 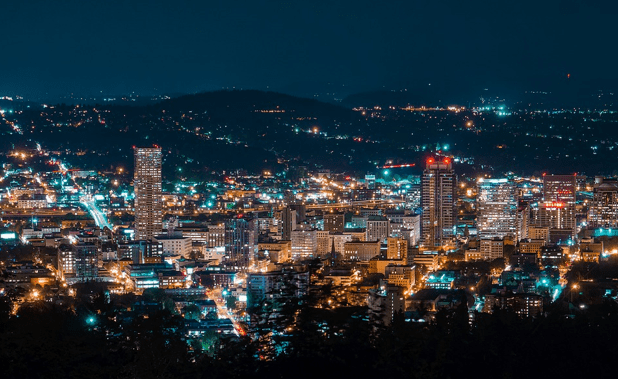 Although Beacon Rock Partners may be smaller than competing firms offering wealth management in Portland, this insular size can be beneficial for many clients. Boutique firms often offer personalized, one-on-one attention that larger firms cannot match, making Beacon Rock Partners ideal for those seeking to maintain long-term relationships with their Portland financial planners. In terms of how their services are communicated to clients, however, our review found that Beacon Rock Partners provides substantially less detail on their financial capabilities than competing firms, which could make it challenging for new clients to fully evaluate the firm. By adding more information about specific financial services—particularly when it comes to Personal Financial Planning—Beacon Rock Partners could easily improve both their value proposition to new clients and their rating as a top financial advisor in Portland, Oregon. As one of the fee-only Portland financial planners on our list, Confluence Wealth Management does not sell products or accept commissions. The firm boasts decades of experience, personalized solutions, and non-stop support to help their clients succeed in a variety of goals and challenges for wealth management in Portland. Confluence’s wealth planning process is based on what is known as “the wealth lifecycle,” which is divided into three stages: acquiring, growing, and securing wealth. These Portland financial planners help individuals protect every aspect of their personal wealth lifecycle. Whether you have just come into wealth or are trying to grow wealth that has already been established, it’s a huge mistake to think that it means you will be wealthy forever. There is serious work involved in protecting and securing your wealth, which is why most high-net-worth individuals secure the services of a Portland wealth management firm. A Portland financial advisor at Confluence can help clients set up a robust wealth management strategy. This strategy will depend on your goals for your money and where you stand in the wealth lifecycle. Since Confluence offers a collection of diverse services, your advisor will help you determine what combination will best suit your needs and goals. The great thing about this wealth management firm in Portland is that they are happy to work alongside any professionals that are currently advising you. They are committed to ensuring all elements of your wealth management strategy can work together smoothly. They are also involved in a number of organizations and initiatives within the local business, sports, and arts industries. As an independent, fee-only advisor, Confluence Wealth Management provides clients with a solid foundation of trust and transparency—two key elements of any successful financial planning relationship. With a large, experienced team, a wide range of services, and a client-centric approach, Confluence Wealth Management is one of the best financial advisors in Portland, Oregon to consider partnering with this year. Hausman Advisors is a Portland wealth management firm that is dedicated to bringing financial clarity to clients’ lives. Their mandate is to reduce financial stress, help their clients build confidence about their finances, and make financial decision making clearer and easier to understand. Hausman Advisors is only a team of two, but we have included them on our list for the range of services they provide and the fact that they are a fee-only wealth management firm in Portland. Hausman Advisors strives to be your “Personal Wealth Engineer.” It’s a fitting name, since these Oregon financial advisors are responsible for puzzling out how to support your wealth and secure it so that it is preserved for both yourself and your family. These financial planners in Portland also work together with other experts and even your own financial consultants, including accountants and attorneys, to make decisions that work in you and your family’s best interests. An investor’s worst enemy is often themselves. Emotion-based investing decisions often lead to catastrophic results. Trying to time and beat the market may work once in a blue moon if you are lucky, but it is not a sustainable long-term strategy if you are trying to grow and preserve your wealth. Scientific investing is what Hausman Advisors emphasizes when helping their clients. Like most wealth management firms in Portland, Hausman Advisors offers comprehensive wealth management services that provide each client with the core services they need to build and preserve their wealth. While this approach works for most situations, they are aware that sometimes there are unique circumstances. To that end, Hausman Advisors is a wealth management firm in Portland that can work with clients to provide individualized solutions to unique problems. Sometimes, this unique circumstance is more unexpected than it is complicated, like the death of a spouse or a career change. Although the team of these Portland financial advisors may be small, Hausman Advisors offers clients the unique benefit of a boutique approach, ensuring individualized attention and the opportunity to create a long-term, personal relationship with a wealth management firm. For many clients, this personalized approach is a great way to ensure that concerns are heard, questions are addressed, and communication stays open throughout the advising relationship. With a fee-only structure, a client-centric commitment, comprehensive service, and an engaging website, Hausman Advisors is one of the best financial advisors in Portland, Oregon to consider partnering with this year. Interactive Wealth Advisors is a fee-only wealth management firm in Portland, Oregon. As a fee-only Registered Investment Advisor (RIA), Interactive Wealth Advisors is legally required to always act in its clients’ best interests and does not get compensated through the products it offers. Most importantly, you’ll always know upfront exactly what you’re paying the firm and don’t have to worry about hidden fees. People often think that retirement planning is all about putting away enough money for when they finish working. While this is a large part of the picture, it is by no means the entire picture. Exclusively focusing on this aspect can lead to difficulties in retirement. How will your investments perform? What kind of health care costs will you face? Will you need to go into a long-term care facility? How drastically will your assets be affected by inflation? And perhaps the most difficult question: Will I outlive my retirement funds? Some of the best financial plans are derailed due to dramatic life changes. When your personal life is thrown into turmoil, alerting your Portland financial advisor to your life changes as quickly as possible can ensure your financial life isn’t thrown into chaos as well. The expert advice of a Portland wealth management firm can help you make a sober assessment of your situation before making any catastrophic financial choices. No matter what kind of transition a client is going through, Interactive Advisors is ready to help them Evaluate, Invest, Insure, Plan, Act, and Enjoy their finances. As a fee-only Portland financial advisor with a strong commitment to independence, Interactive Wealth Advisors provides clients with the benefits of transparency and integrity—two key components of any successful financial planning relationship. With comprehensive planning for investments, retirement, and life transitions, Interactive Wealth Advisors is one of the best financial advisors in Portland, Oregon to consider partnering with this year. New Outlook Financial, LLC is a wealth management firm in Portland that works with individuals, families, and small organizations to craft financial plans to meet their personal or business goals. As a fee-only firm offering wealth management in Portland, New Outlook provides objective, independent advice that puts your best interests above any sales quota. As a top wealth management firm in Portland, New Outlook Financial offers comprehensive personal finance guidance to individuals from all walks of life. Their approach helps clients identify their goals and create a financial plan that is in line with their personal values. Oftentimes, there’s a fear that successful wealth management has to be divorced from a person’s values, but the right wealth manager in Portland can help you make sure these two things work in tandem. As a value-driven wealth management firm in Portland, New Outlook provides clients with access to socially responsible investing (SRI) techniques. This allows clients to grow their wealth without profiting from the success of companies that they are ideologically opposed to. For clients that want to invest in companies that they believe are positively contributing to society, socially responsible investing is a great fit. The financial advisors at New Outlook can conduct research to ensure that clients grow and preserve their wealth in an ethical manner. It’s only natural that a firm committed to helping clients invest in socially and environmentally responsible companies would be those things as well. For clients that want a value-driven financial planner in Portland, New Outlook Financial is a great fit. Not only does the firm demonstrate a value-centric proposition through a fee-only, transparent structure, but they also support socially conscious investing and business practices throughout all stages of financial planning. With a wide range of services and a strong ethical foundation, New Outlook Financial is one of the best financial advisors in Portland, Oregon to consider partnering with this year. Springwater Wealth Management is a fee-only wealth management firm in Portland. The Portland financial planners at Springwater provide comprehensive wealth management and financial planning services for families and women, with a specialty in helping clients who have gone through a recent transition that may affect their financial situation. Not only does this process keep things organized, it also ensures that clients know exactly what is going on at every stage of the financial planning process. Going through a divorce is already an emotionally traumatic experience. It can also be financially chaotic, and that only adds additional turmoil to an already unpleasant situation. A Portland wealth management firm can help you pick up the pieces of your finances before, during, and after your divorce. As a top Portland financial advisor, Springwater Wealth Management offers comprehensive financial services and a transparent, fee-only structure, laying a strong foundation for long-term financial planning relationships. Additionally, the team of Portland financial advisors is highly credentialed, bringing an array of highly recognized industry certifications to each wealth management engagement. With a fee-only structure, an experienced team, and a wide range of services, Springwater Wealth Management is one of the best financial advisors in Portland, Oregon to consider partnering with this year. Vision Capital Management, Inc. is an independent, majority female-owned Portland financial advisor offering financial planning and investment management to individuals and institutions. As a fee-only firm, the Portland financial planners at Vision Capital Management are not incentivized to recommend certain investments, allowing for a wider range of low-cost, diversified options. For many clients, part of finding the best financial advisors in Portland, Oregon, is finding a firm that is well-qualified to handle a variety of financial challenges. Over the course of a financial planning relationship, goals are needs are subject to change from year to the next, emphasizing the importance of finding a Portland financial planner with a wide range of skills and capabilities. Additionally, nearly 60 percent of the staff at Vision Capital Management are women, including principals, managers, and Portland financial advisors. In an industry where women are historically underrepresented, Vision Capital Management stands out as a firm committed to maintaining a talented, diverse team. Whether good or bad, major life transitions can be extremely disruptive to one’s financial health—especially without the guidance of a Portland wealth management firm. When creating wealth management strategies for life transitions, Vision Capital Management can easily connect and coordinate with other financial professionals to ensure that clients can confidently move forward. As an independent, fee-only firm, Vision Capital Management provides clients with the peace of mind to know that their financial health, needs, and objectives will always come first and foremost. Not only does this promote transparency, but it also instills trust, both key elements in creating and maintaining successful long-term financial planning relationships. With a talented, diverse team of financial advisors in Oregon and a comprehensive range of financial capabilities, Vision Capital Management is one of the best financial advisors in Portland, Oregon to consider partnering with this year. Founded in 2001, Vista Capital Partners is a fee-only Portland wealth management firm. The Portland financial advisors at Vista provide retirement planning, investment management, and tax strategies to individuals, trusts, estates, corporations, and more. During this stage, your Portland wealth management professional will discuss your goals and any financial questions that you may have about your future. This includes retirement, education funding, protecting your wealth, diversifying an exciting portfolio, and philanthropic goals. Portfolios are constructed based on Nobel Prize-winning research, focusing on overlooked asset classes that are disciplined, diversified, and low-cost. In this stage, your Portland financial advisor will help you look at your complete financial picture to ensure that your long-term financial health continues to grow and allow you to live a prosperous life. Financial goals and plans are subject to fluctuate over time, stressing the importance of partnering with a wealth management firm in Portland that can address multiple aspects of your financial health. As an independent, fee-only investment advisory firm, Vista Capital Partners provides their clients with transparency and trust, two key elements in any successful financial planning relationship. With additional benefits like comprehensive services, a large team, and an in-depth approach, Vista Capital Partners is one of the best Portland wealth management firms to consider partnering with this year. Assess your financial goals and objectives and consult with family members if need be. Review your list of financial goals and identify the three most important services that you would like to be offered by your ideal Portland financial advisor. 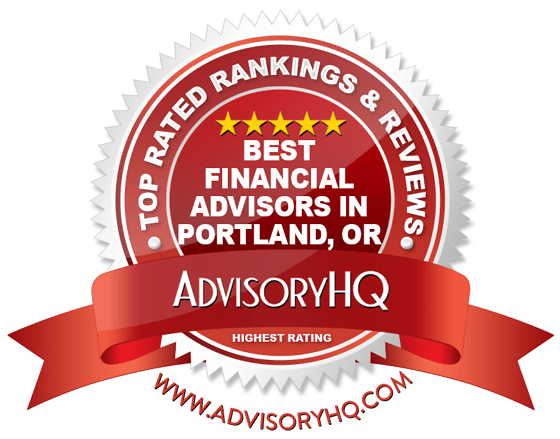 Review this list of the top financial advisors in Oregon to identify which firms offer the services that are most important to you for effective wealth management in Portland. Once you have a short list of 1-3 financial planners in Portland that meet your criteria, the next step is to reach out and schedule a brief consultation to determine whether the relationship will be a good fit. Finding the right Portland financial planner, wealth manager, or financial advisory firm for you may take time, but improving your financial health will be well worth the effort.